Well below consensus new jobs data for the month of May in the US, along with an upcoming week of uncertainty on the geopolitical front wasn’t enough to trouble markets on Friday, as they regained momentum after what had been a fairly flat week, particularly in the US. 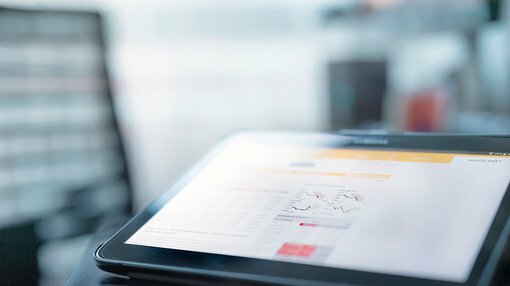 With regard to important events unfolding this week that have the potential to impact markets, the UK election is at the forefront, closely followed by the European Central Bank meeting which should provide some commentary regarding the stimulus program that may come under scrutiny given the surge in mainland European equities markets in 2017. The other factor that could place considerable pressure on President Trump is former FBI director James Comey’s testimony to the Senate Intelligence Committee in relation to Russia’s role in the US presidential election. There is also the potential for commentary regarding pressure that may have been brought upon Comey in terms of investigating Russian involvement. The Dow finished at 21,206 points representing an increase of 0.3%. The NASDAQ was the standout performer with a gain of nearly 1%, taking it to a record close of 6305 points. Microsoft Corp. was one of the strongest performers, gaining 2.3%. UK markets spiked early in the day before trailing off to close at 7547 points, broadly in line with the previous day’s close. European equities markets appeared to respond more negatively to US jobs data than was the case in US. While mainland European markets also appeared to trim early gains, there was no stopping the DAX as it surged 1.2% to 12,822 points, outstripping the previous record set in May. The auto sector was the driving factor with shares in Volkswagen AG and BMW AG delivering gains of more than 1%. On the commodities front, oil came off 1.3% to close the week at US$47.74 per barrel, a sharp week on week decline from circa US$50 per barrel. Gold was one of the best performing commodities as it surged nearly 1% from the previous day’s close of US$1270 per ounce to hit a high of US$1282 per ounce, closing within a touch of that mark. Base metals were mixed with nickel and zinc being the main movers. After a dismal week, nickel recovered some of its losses to rally circa 1%, closing at US$4.02 per pound. Zinc was the worst performer, shedding 1.5% to close at US$1.13 per pound, down from circa US$1.18 per pound at the start of the week. There was little movement in the lead price as it closed the week just below US$0.95 per pound. Copper fell marginally, closing at US$2.55 per pound.